3 days to go before the Lip Sync Battle unleashes some of the best Lip Syncers in the Sandyford area and indeed some of the best who will ever be seen!! Women dressed as men, men dressed as women and all competing for the elusive and exclusive title of Naomh Olaf GAA Club Lip Sync Champion. Tickets for this event are still on sale but to guarantee your own entry to the event in the Naomh Olaf Clubhouse next Saturday night please contact one of your friends who are participating or purchase one from the Club Bar. Hand in your ticket at the door. All attendees are entitled to a pint of beer , a mineral or a glass of wine. (a voucher will be given on entry). Your ticket also entitles you to free entry to the after show party in Club 92 before 12:00 midnight (€5 after midnight). A stamp for concession entry to Club 92 will be issued on entry to the Lip Sync event. 15 acts will strut their stuff on the night. Support and respect is sought for each act - it is not easy in rehearsal - it is daunting on stage in front of hundreds!! 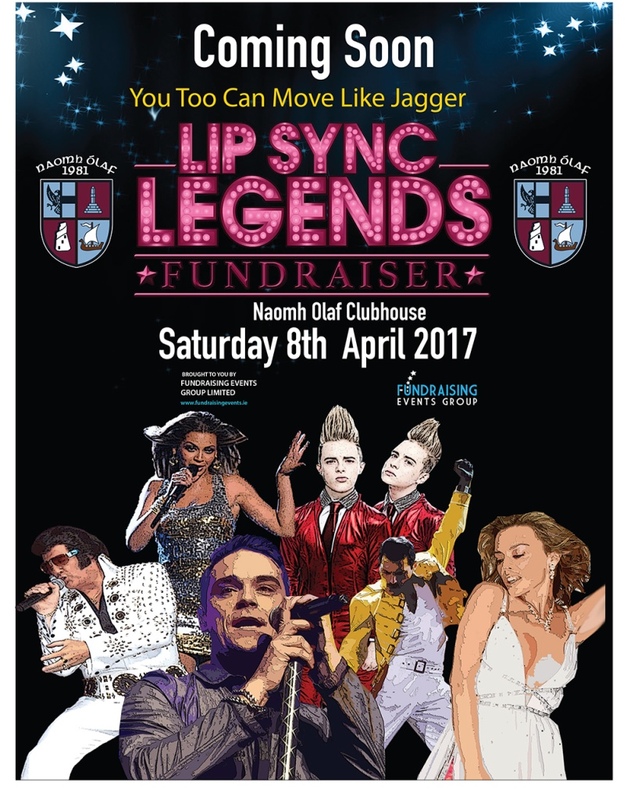 Saturday will go down as one of the most exciting, energising and entertaining nights in Naomh Olaf's fundraising history. Each of the acts has put in a huge amount of effort to provide you, the audience, with a night you will not forget. So make the effort to join us on Saturday night. The most important thing ist hat everyone has a great night. Thank you from the Lip Sync Team.